NEW YORK, NY, USA, 2018-Sep-26 — /EPR FINANCIAL NEWS/ — Most of the systems we are already used to, we do not know how they work, for we are always thinking we know enough that they work and we trust them. But honestly, do you think you know enough about online banking? Here you will find some facts that might be useful for you to know! BUCHAREST, Romania, 24-Sep-2018 — /EPR FINANCIAL NEWS/ — In accordance with the Romanian National Securities Commission Regulation no. 5/2018 and art. 2 of the Commission Delegated Report (EU) 1052/2016, DIGI COMMUNICATIONS N.V. reports to the regulated market (Bucharest Stock Exchange “BVB”, Romanian Financial Supervisory Authority “ASF”, the Dutch Authority for the Financial Markets “AFM”) the transactions which occurred under the DIGI symbol between 17-21 Sept 2018. BUCHAREST, Romania, 17-Sep-2018 — /EPR FINANCIAL NEWS/ — In accordance with the Romanian National Securities Commission Regulation no. 5/2018 and art. 2 of the Commission Delegated Report (EU) 1052/2016, DIGI COMMUNICATIONS N.V. reports to the regulated market (Bucharest Stock Exchange “BVB”, Romanian Financial Supervisory Authority “ASF”, the Dutch Authority for the Financial Markets “AFM”) the transactions which occurred under the DIGI symbol between 10-14 Sept 2018. BUCHAREST, Romania, 10-Sep-2018 — /EPR FINANCIAL NEWS/ — In accordance with the Romanian National Securities Commission Regulation no. 5/2018 and art. 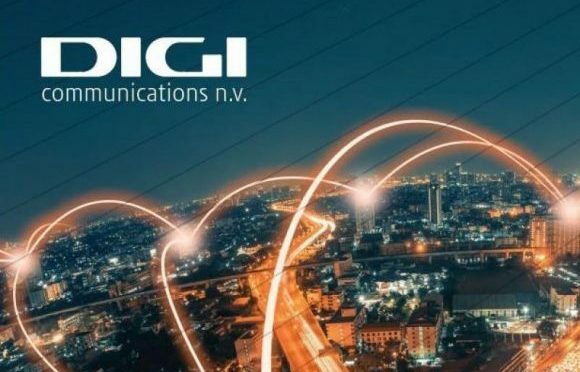 2 of the Commission Delegated Report (EU) 1052/2016, DIGI COMMUNICATIONS N.V. reports to the regulated market (Bucharest Stock Exchange “BVB”, Romanian Financial Supervisory Authority “ASF”, the Dutch Authority for the Financial Markets “AFM”) the transactions which occurred under the DIGI symbol between 3-7 Sept 2018. BUCHAREST, Romania, 04-Sep-2018 — /EPR FINANCIAL NEWS/ — In accordance with the Romanian National Securities Commission Regulation no. 5/2018 and art. 2 of the Commission Delegated Report (EU) 1052/2016, DIGI COMMUNICATIONS N.V. reports to the regulated market (Bucharest Stock Exchange “BVB”, Romanian Financial Supervisory Authority “ASF”, the Dutch Authority for the Financial Markets “AFM”) the transactions which occurred under the DIGI symbol between 27-31 Aug 2018.